The resulting ERA17 program boldly sets out to place Finland no more or less than as the “leader in energy-efficient built environments”. Moreover, the “ultimate goal of the plan is that in 2050, Finland will be able to offer the world’s best living and operating environment for people and businesses”. There are six key action areas for achieving this: energy-efficient land use, distributed methods of energy production, steering of construction, ownership and use of real estate, and taking know-how further (read more here). This all sounds very comprehensive and welcome. Still, there is an issue that has bugged me for some time now and which is present all too often with our ever-increasing projects and discussions related to energy-efficient urban development: an incapability to integrate concepts in environmental sustainability and urban livability. Before going any further, I want to stress that I am not against the concept of energy efficiency or sustainability. On the contrary, I highly support measures to mitigate climate change. 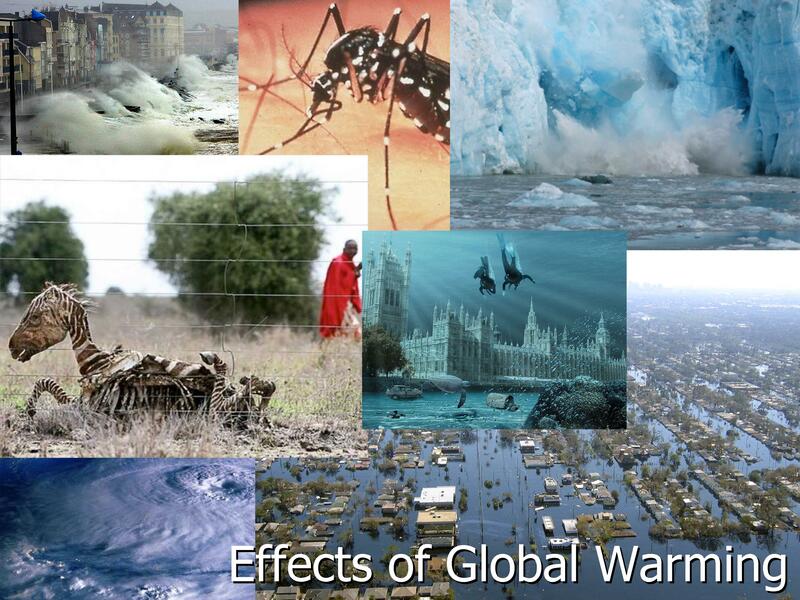 Global warming is the most pressing global issue at hand and we actively need to put forward initiatives to e.g. cut down CO2 emissions. Within the urban development sphere, measures can for instance be taken at the building-level by optimizing building materials and construction processes. In Finland we especially have great potential in using more wood as a building material for carbon emission savings. At the city and regional levels, environmentally friendly actions can be done by planning walkable and dense neighborhoods that are efficiently connected with public transportation as opposed to sprawling cities where mobility is car-dependent. We surely don’t want this. Image source: climatereview.net. These concepts that contribute to the environmental sustainability of cities are well-documented and largely acknowledged among all parties contributing to urban development at all scales. So where’s the problem? Well, the unfortunate reality is that in Finland we all too often just focus on one dimension of climate change mitigation. The ERA17 initiative underscores this argument. As so typically with the Finnish planning culture, it focuses solely on the quantifiable dimensions of urban development. We are a nation run by engineers and it shows. For instance, in the ERA17 vision statement it is noted that in the desired future Finland will have cut carbon emissions by “increased use of public transport, cycling, and walking”. For “energy-efficient land use” – aka urban planning – this primarily means the adoption of “calculated effects of carbon emissions of energy supply solutions, transport services, and buildings in their planning of new housing areas“. In the future, this “will be the norm, not an exception”. This is all important, but let me tell you that with what’s happening on the ground now, we are still light years away from offering the “world’s best living and operating environments”. The buildings we develop with calculator-led planning may technically be super sustainable, but what is it worth if they result in an urban environment that won’t stand the test of time? This Ratinankaari office building in Tampere is not just energy-efficient, it is “energy-genius” according to the developer YIT. It is the product of an active interest in “sustainable development and eco-friendliness” and has been awarded a gold-level LEED certificate. It has also been voted as the ugliest building in the city in 2012, even before it was completed. Photo courtesy of YIT. One key thing we seem to have forgotten all about is how we treat spaces between buildings. This is the concern of urban design at large, and something I’ve specifically been inspired to look at after attending classes held by Professor Larry R. Ford while studying at San Diego State University. Mr. Ford’s approach to assessing cities was not only to look at how individual buildings contribute to the character of a city (see photo above), but also how those buildings together along with other features that exist in between them add up to create the urban reality that we daily experience. Through his research he concluded to amplify the message Jane Jacobs and company brought about in the 1960s to challenge modernist urban planning concepts: cities with friendly, permeable facades and a great variety of street-level doors are more contributive to civic life than cities characterized by fortress-like structures with blank walls and invisible doors. Our recipe for sustainable world-class cities is missing this vital ingredient badly. Furthermore, another key area of improvement is the same I’ve touched upon before in my blog when comparing the neighborhoods of Kartanonkoski and Sankt Erikskvarteren. Besides lively architecture, the location where we build things, how we mix different uses with each other, and the kind of pattern we choose for our development, all matter. If we build low-density and single-use neighborhoods that are far away from everything, we are not likely to get “increased use of public transport, cycling, and walking”. To illustrate my concerns, I looked up some landmark initiatives for energy-efficient construction in the greater Helsinki area and photographed them for you. Here’s a walk-through of how our energy-efficient, world-class urban environments look like in reality at the moment. The first neighborhood I went to is Viikki. It is often called Finland’s leading area of ecological building and among other eco-friendly features, it is home to Finland’s least energy-consuming office building, the Viikki Environment House. Another landmark project is a wood construction site of 104 apartments. Its development is setting standards for future wood construction implementation and the site naturally has a smaller than average carbon footprint. The Viikki Environment House is super sustainable technically, but it’s not a pretty sight. Not much street stimulation here. On the other hand, there is not much going on in Viikki anyways. I’m fairly sure this wall was not designed to please people passing by. The Viikki Campus is supposedly the city’s “green campus”, but some might argue differently looking at its location and layout. This is pure innovation technically right here. But the neighborhood’s design is as “innovative” as the modernist neighborhood unit concept. This is pure innovation technically right here. But it’s single-use and blank walls all the way. Possibly the world’s most energy-efficient parking roof. Awesome. The downside however is that Viikki as a whole is very disconnected from the city. 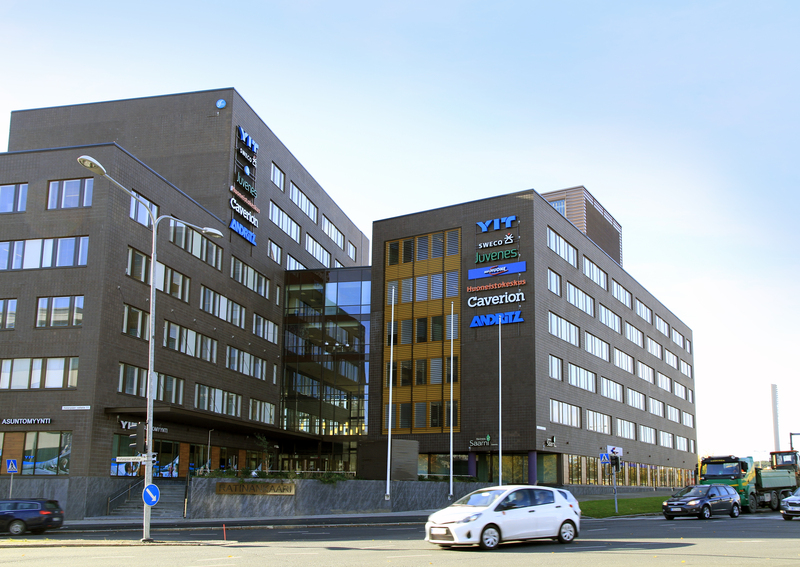 Besides the University of Helsinki’s Viikki campus, it is almost solely residential. The neighborhood didn’t even have a proper supermarket for years until the appearance of a gigantic hyper market at the side of the bordering highway. Despite an effort to develop Viikki as denser than the conventional suburban neighborhoods, you’re still best off by owning a car if you live there. Viikki is however way more centrally located than the next two energy-efficient out-of-town office projects. The Plaza Business Park in Vantaa and the Alberga Business Park in Espoo both market themselves as attractive destinations where your company can make a difference environmentally by locating there. The premises certified with BREEAM “very good” standards will make sure of this. And undoubtedly will. But I’m not too sure about how these developments add to the attractiveness of their respective neighborhoods. Especially the project in Vantaa is a school-book example of the impacts of single-use zoning. The closest residential area must be about a kilometer away. Plaza Business Park, Vantaa. Energy-efficient office buildings feat. a parking lot AND a multi-storey car park. I guess this is the plaza. Not too many came by bike. Surprise, surprise. Behind the office buildings. And in front of Ring Road III. The side of the building is decorated by a loading platform. The place where people hang out on their breaks, it seems. I wonder if the construction of the parking structure is noted in the carbon footprint of the office buildings? The map of the office pod. There are several of similar pods right next to each other. Alberga Business Park is relatively OK for a business park. It’s close-ish to a commuter railway station and generally the area of Leppävaara is quite urban. Maybe the best of the worst. Wow, they have a shop and a gym too! The back side of the business park is not as nice as the front. The largest building of the site is of course a multi-storey car park. In all fairness, not all highly energy-efficient buildings get thrown to the suburbs. Some have been built within the inner city in locations such as Ruoholahti, Sörnäinen, Vallila and Töölönlahti. These office projects are well-located, contribute more or less to the mixing of uses as well as extend the inner city’s urban pattern. However, consulting services from Professor Ford would still have come in handy. Most of these buildings offer just one door to the street – if any. The office complexes Manskun Rasti at the very northern edge of the inner city and Technopolis in Ruoholahti are quite extreme examples of this. At Manskun Rasti the buildings are generally nicely built in urban fashion with an immediate connection between the building and the street. Both of the Rasti buildings hold platinum-level LEED certifications and the project has won the title of Construction Site of the Year 2011 due to its innovative construction process. The problem just is that there are no doors (apart from two maintenance doors) to the street. The entrances to the two buildings are at the back next to the garage and parking lot. Curiously enough, the other building hosts the headquarters of Skanska Finland – one of our largest construction companies. Don’t expect prizes for best-practice in people-friendly design. Manskun Rasti stands elegantly by Mannerheimintie, Helsinki’s primary entry road. Manskun Rasti is the complex at the back. The one at the front is also a highly energy-efficient office building. The building is connected to street without setbacks, but the problem is there are not doors. These two maintenance doors are the only entrances from the street. This is where you end up when you take the steps down. The pedestrian canyon from above. The other office tower of Manskun Rasti doesn’t have ANY entrances from the street. Oh yeah, that’s the headquarters of Skanska Finland you’re looking at. This is where you have to go to get in. By the garage door they have a small sign saying “watch out for pedestrians”. Quite obvious which kind of traffic they’re more used to having. This is the side where the entrances are. And a huge parking lot. Also in Ruoholahti you’re expected to arrive by car. The LEED-certified Technopolis office complex is hidden behind a power plant and not very easily approachable on foot. I had a hard time even getting to the door of the building I had looked up. Had I come by car, I could have of course just driven into the parking garage and probably entered through there. In any case once you’re there, you can enjoy a nice view to the sea while roaming the premises. Or a massive parking lot. Or a six-lane highway. Once you find your way to the Technopolis office complex, you’re in for more challenges. How are you supposed to get up there? Those arriving by car can just drive into the garage. I had to walk all the way around the parking lot to get up on the same level as the offices. I wonder if this would better as a football field? The area between the office buildings is pedestrianized with park benches and everything. Not too many doors or places to go, though. Going around the corner gives you a pretty sight. For some reason, the anyways decided to put a pedestrian path here. ..until it ends. Might as well take the elephant path then. I met some other people who were trying to find a way to get to the office buildings. After going around the complex, this is the only place you can go unless you cross the wasteland back to the parking lot. The case examples in Sörnäinen and Vallilla offer a much more street-integrated approach. But also here the idea has been to build a blank wall and put just one door in the middle. The fortress-like designs don’t send a very inviting message to the bypasser. Well, at least in Sörnäinen you can enjoy the reflection of yourself if nothing else. The Skanska Lintulahti office building. Photo source: figbc.fi. The reflecting wall. And a glimpse of the only door. Or actually there are two entrances if this counts as one. Is it only me or does this neighboring office building look much more inviting? Not to mention that it’s been around for quite some time. I bet that the new Skanska building will get bulldozed before this one. Skanska is also apparently going to use the same blueprint for their next office building down the road. The Nordea headquarters in Vallilla. Big building, one door. I wonder if they keep the shades up when working? That would make the facade livelier. Just pure love towards people on the street. The remaining Töölönlahti example also follows this same ideology. And what’s more worrying is that the case building is developed into the very heart of the city along with a stretch of similar buildings. The developer claims to have been “strongly committed to promoting sustainable development and eco-efficiency” with the building at hand as well as others in the project area. The last I heard, this Töölönlahti area was also envisioned to transform into an urban living room and cultural oasis for the city. Despite the project area in its entirety is not finished yet, critics are already voicing anger over the notion that such a dull concentration of office buildings was allowed to be erected in such a prime location. I too find it hard to believe that these new developments will stand the test of time and act as buildings contributing to a memorable experience of the city. At least not in the positive light. To sum up, if we want to create the world’s best and most sustainable urban environments, we can’t just focus on building random buildings with great energy-efficiency solutions. These may have a significant impact on carbon emissions, but it’s what these buildings look like, where we place them, how they relate with one another and what we put in between them that matter in the art of making sustainable places where people will want live too. To avoid creating throw-away urban landscapes, we need to think outside of the “quantifiable” box and take on board “qualitative” dimensions of the built environment as well. One great example that combines excellence in energy-efficiency and city-building is Helsinki University’s new library building, Kaisa-talo. It has been awarded gold-level LEED certification and designed to give a face for what modern Finnish urban architecture could be like. The building blends perfectly into the existing urban structure and despite being one huge structure, it is gracious and has two busy entrances on the pictured façade. And one more in the back too. The modern meets the old magnificently in Kaisa-talo’s architecture. By extracting inspiration from this spirit, we would definitely start making some progress in designing world-class urban environments. One note: Alberga plaza is much more centrally located than Viikki. I don’t think there’s any reasonable way of measuring that would put Viikki first. Yeah, you can argue that. My measuring instrument is usually a subjective gut feeling which says that everything in Espoo is far away. I suppose I am being a bit unfair towards Lepäävaara, I’ll give you that. thank you Timo, again. Most of these examples are also examples of very unfriendly architecture. We seem to be losing our abilities to build teal cities. Kaisa Library, though, is a positive example, it even has invited the old shops back to where they were. – I am at the moment in Berlin, where my colleagues and the city itself still strive at creating genuine urban environments. That is why I enjoy long walks in many parts of the city. I do not enjoy a walk next to the motorway bridge to luttasaari, or along the street where the horribly ugly or mediocre buldings by Skanska or NCC etcetera – sorry, I am just being honest. Thanks Tarja! You should bring some of that expertise and spirit back to Finland with you. The funny thing is that no one really wants these harsh urban environments but still we keep on reproducing them over and over again. How is it so difficult to just stop and do something else for a change? 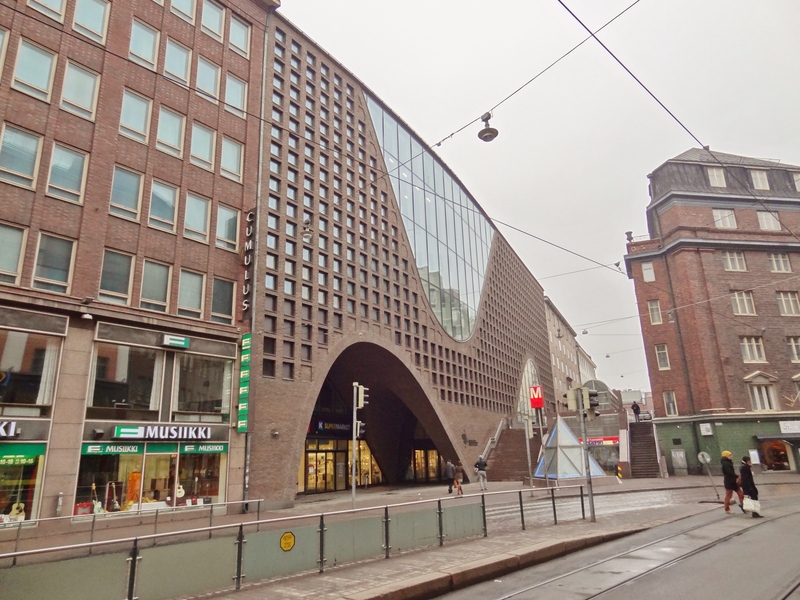 My guess is, style is not an issue yet with Finnish official attitudes towards public building facades. No education + no thought = no understanding. Fantastic post, I agree on all fronts. Is there an actual aversion (like zoning laws which prohibit it) to mixed-use development in Finland, or is it just not included in the designs typically? It always shocks me when new development (even in my home town of Seattle) doesn’t include anything commercial at all; no space for cafes, restaurants, stores, bars, etc. Sure, it may be dense, but who would really envision that as the pinnacle of urban development? I want to live directly upstairs from a row of lively businesses, not a single door to an abandoned street. Thanks! No there isn’t. It would be perfectly possible to zone mixed-use areas but it just isn’t done very often. It’s more just like what you’re describing is going on in Seattle. But even without the density. Of course there then are all sorts of devilish details -norms and regulations- that always seem to cross swords with attempts of making more urban interventions. Kaisa Library may be an architectural pearl, but as an active library user I find there to be a positive side and a negative side on the usability of the library. If one wants to borrow a book, it’s very easy and simple. You just walk in from one of the three library entrances, search for the book (you find it easily), borrow it and walk out. If you want to immerse yourself into reading, studying, thinking, writing, you better do it somewhere else. The whole library is one open space, one open noisy space to be exact. There are few “silent rooms” where you must sit under the beaming, strong lights reflecting from white tables crammed tightly together with people with all kinds of noices coming out of them. At least one of the new gloomy, ugly office buildings by the Helsinki railway station (Töölönlahti area) has open office principle with white desks, white cupboards, white walls and once again – those beaming lights. Open space ideology of architects is making us forced to work or study in these buildings sick. My studies were already over in Helsinki when they opened Kaisa, so my user-experiences are quite limited. I however haven’t spotted many inviting and cozy spots to study when there so I’ll take your word. In any case, I often don’t analyze the interior of buildings because I don’t have the competence to say anything too smart about them unless they are obvious disasters. The best thing would obviously be to do awesome architecture across the board so that users of urban space and the building itself are satisfied. Wood City does indeed sound promising. I’ll however be fully convinced only when I see it ready and in use. Second you on that one but happy to be pleasantly surprised. Well put. Keep up the good work. Nice to have found your blog. Thanks Pasi! Got a new post out today! Spot on Álvaro. Great that you found my blog! First time reading your blog, and this post caught my eye, as I’m the architect who designed Manskun Rasti. Concerning your critisism about us being “a nation run by engineers and it shows”, I couldn’t agree more. Green aspects, in a construction project, are usually only considered on the parts that can “be fixed” by engineering solutions, other aspects get overlooked. Sustainability, however, is a more complex issue, and a lot more attention should be paid to the environment that the buildings create, inside, and as part of the city. This is why I’d like to point out that Manskun Rasti is not a finished project as it is now. It is going to be a complex of 4 buildings, of which only two are now built. When the office campus is ready, the entrance that now, to you, seemed to be from back side, is rather logically through a street level -court yard (banned for cars), with greenery, trees, and seatings. This yet unbuilt court yard is between the buildings, and is entered from Nauvontie, or by the stairs from Mannerheimintie. The (yes, quite ugly) temporary parking garage entrance, now dominating the main entrances of the buildings, is moved behind phase 2 buildings, out of sight, as the garage is extended. From Mannerheimintie, there are some doors to the building, one goes to the bike shelter so that cyclists have easy access to locker rooms and showers, and there actually is a possibility to have a proper entrance to the main lobby from that street also. It is, of course, up to the tenant wether they decide to use that option. As to why there are no shops etc, well, unfortunately, not enough pedestrians on that busy street corner to create any business opportunity. Thanks for your comment! I truly hope the rest of the project will help improve the whole and they do open that entrance from Mannerheimintie. Generally, I wish such a building would be designed so that street fronts could easily be transformed into shop spaces even if there is no demand now. In the future the area across the street will be developed as well as the entire Mannerheimintie corridor is likely to become “bulevardized”. Blank street fronts are not really ideal for this scenario. I would always choose to create buildings that face the street because that is the only way to create inviting streets. When any single building is built, be it an office building, apartment building or anything else, it is not built only for the few people that actually use it but also for the 99.999…% of the remaining other citizens too. And this is nowadays always forgotten. I’m currently the head of the government agency in Alaska that is in charge of energy efficiency for our state and have been invited on a policy tour of Finland this summer that focuses on economic development and arctic issues. I’m considering going but I’d like to personalize it a little bit more to my area of responsibility. Are there groups or individuals in the Helsinki area that would be of value for a meeting that could be of benefit to me regarding commercial building and home energy efficiency? Mixed use development that combines residential and commercial is also an area that my agency has recently received the authority to develop. Thanks for your comment and good to hear you’re visiting Finland soon! I gathered some energy-efficiency links to help you out. I suggest to contact someone from these organizations to get closer to what you’re looking for: Sitra, VTT, Motiva, and Green Building Council Finland. Concerning mixed-use development, we Finns are fairly bad at making that happen. Unfortunately. Contact me if you need more help! Dear Bryan, Please note that at VTT you can get in touch with Ms. Riikka Holopainen, who at VTT leads the research team “Efficient Buildings”, which develops buildings with excellent indoor environment, low energy consumption and effective data management. Hopefully our team is able to assist you in your matter. Thank you also Timo for mentioning us! Thanks for the helpful hints. When I’m not in the beautiful Spring sunshine this weekend I’ll read up on them.